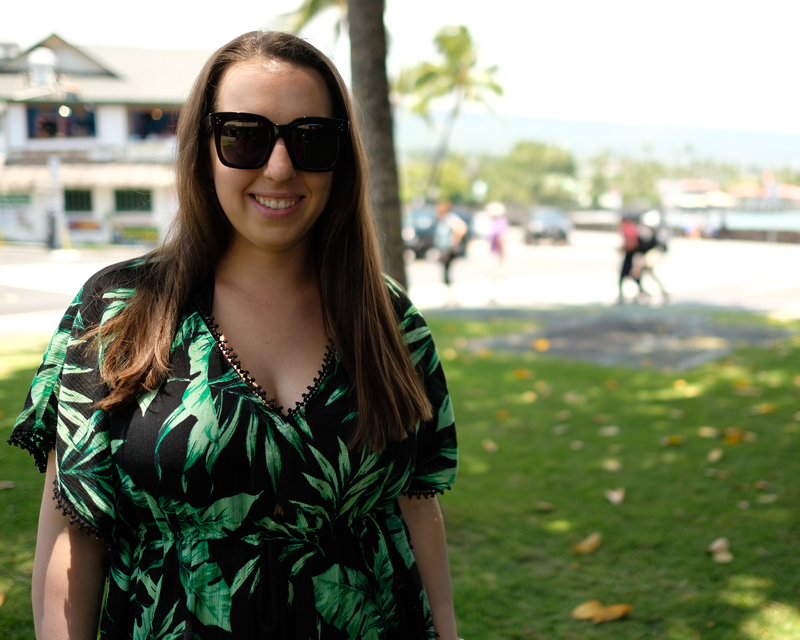 Allow me to introduce you to this season’s best beach cover-up, and it’s less than 20 bucks! 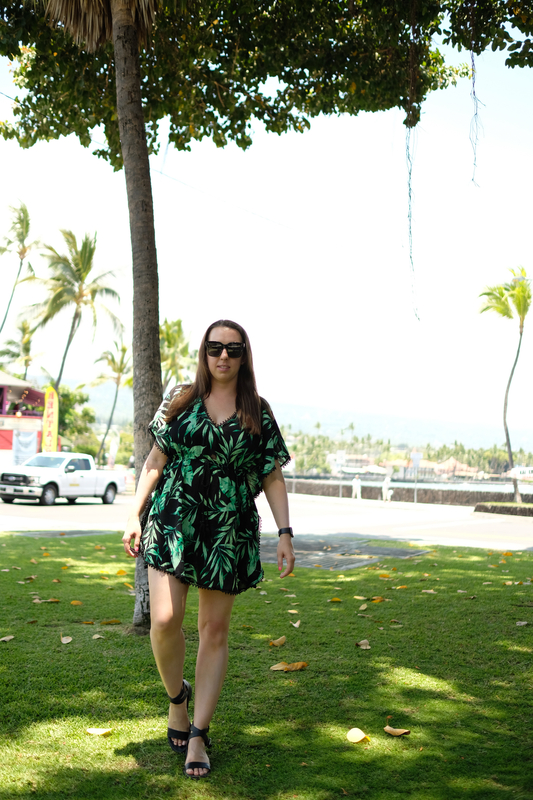 I recently got back from Kona where I was wearing this palm print number non-stop. 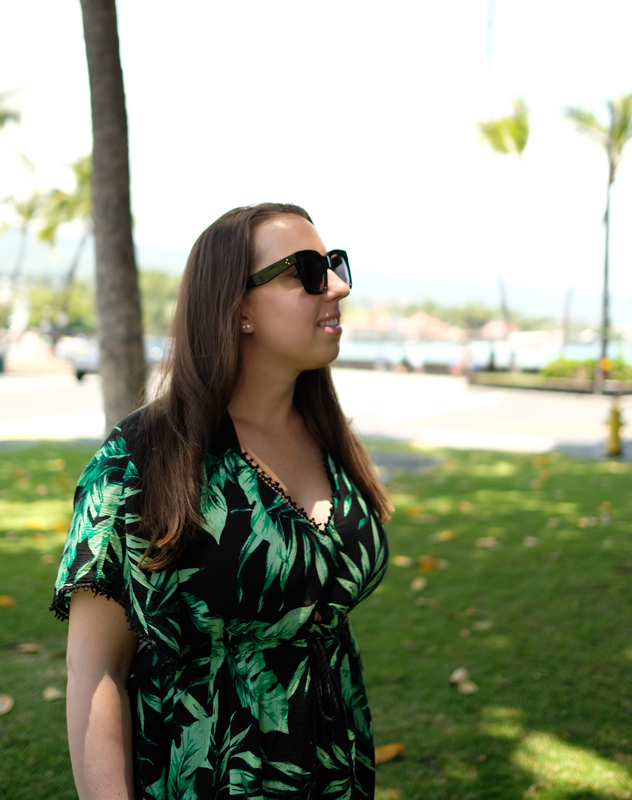 The breezy textured cotton dress was the perfect piece to wear into town or beachside, keeping me cool and also slightly more protected from the sun. The crochet hem is cute finishing touch, and make the piece look a lot more expensive than it actually is. And if palm print isn’t your thing, be sure to check it out in solid black. Way to go, Old Navy! Like this look? Be sure to check out some of my other outfits or style posts before you go. Stay tuned for a vlog from this Kona trip and a summer clothing haul coming soon. Thanks for reading! This kaftan is adorable! I love it! your beach cover up is super cute, love the color and I hope you have a great summer Chelsea! I have the same cover-up and love it!! I love the print and style of your gorgeous beach cover-up! I’m always on the lookout for new unique cover-ups as I spend a great deal of time at the beach. Thanks for sharing your adorable tropical beach style! such a cute print, perfect for Summer! I love this palm print dress! I’m loving that palm print this summer! So cute!